Just outside of Grayson County Recreation Park resides a beautiful waterfall known as Peach Bottom Falls (Powerhouse Falls). This area is managed by Grayson County Parks and Recreation and there are established trails to the upper portion of the falls. 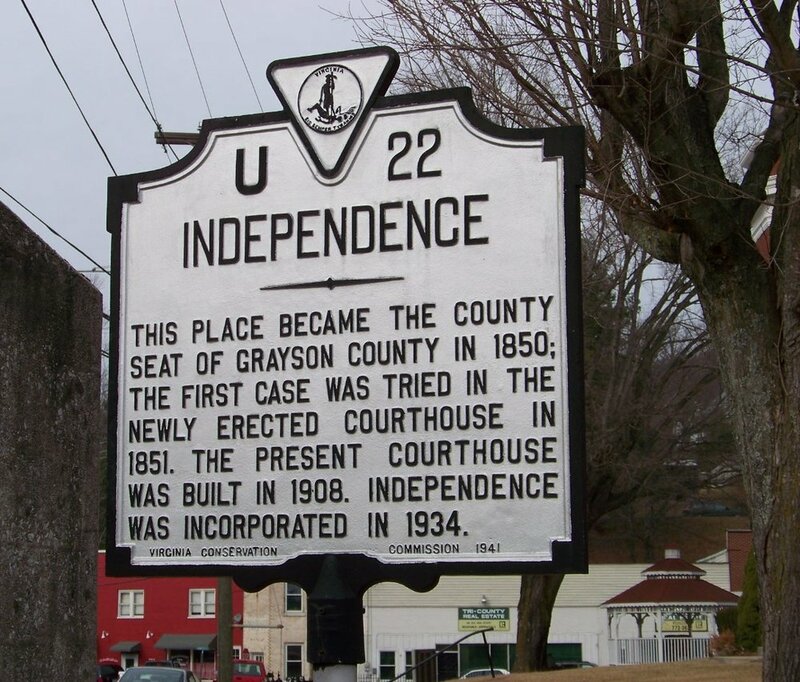 In 1793, The first Wagon Road in Grayson County was directed to be built to this site. Matthew Dickey and William Bourne were founders of the first iron furnace and forge located at the bottom of Peach Bottom Falls. Early pioneer tools, as well as pots and pans, were cast here. Some items were shipped over the mountains and down the Holston River for pioneers heading westward. Peach Bottom Falls is the site of early power houses servicing the Town of Independence. Electric power was created at the Davis Power House from about 1900 to 1935. Davis built the powerhouse to operate his mill and provided limited electricity to the town in the hours after mill operations.